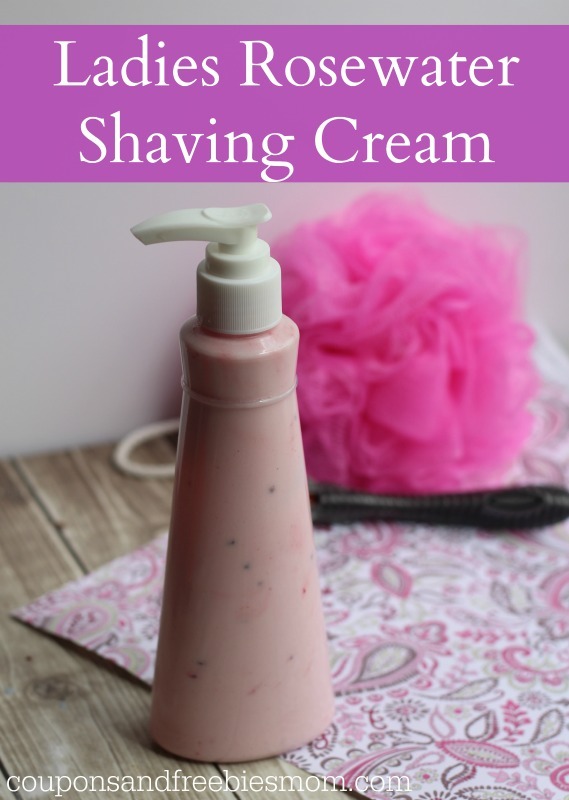 Ladies Homemade Rosewater Shaving Cream! If you remember the Men’s Shaving Cream from awhile back, you might have wondered “Hey where is my pretty scented and colored shaving cream?” Have no fear, we came up with a similar shaving cream for the ladies that is safely tinted a sweet pink and smells amazing to boot! 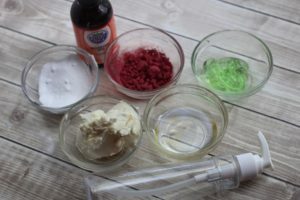 If you have been wanting your own wonderfully scented, natural shaving cream you are going to want to read on and grab the recipe below. We even found a way to give it a sweet pink tint safely and naturally, so you really feel like it is just for you. Keep it for yourself and make some to gift for the holidays! Just tuck it into a basket with a couple other bath items it makes a great gift! If you love this Ladies Homemade Rosewater Shaving Cream, check out our entire 2016 Hand Made Christmas Gifts Gifts Series! If your shea butter is hard, soften shea butter slightly in the microwave. 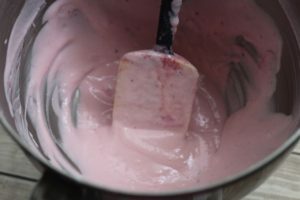 Place shea butter, coconut oil, baking soda, rosehip oil, hibiscus/beet powder, and aloe vera gel in the bowl of your stand mixer. Start with 1 tsp. beet root powder to color and add more until you get the desired shade. 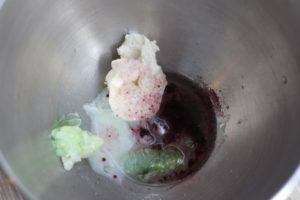 Whip on high until fluffy and well mixed, scraping down sides often to get all ingredients. Transfer to pump container for easiest use. You can find a variety of sizes and shapes, including the one pictured at your local craft store in the soap making section. You may find that a funnel helps you get it in the more narrow neck of pump bottles better. Add an additional 5-8 drops of lavender or other essential oil if you like to give your homemade shaving cream a more complex scent profile. And there you have it, your Homemade Ladies Shaving Cream made with Rosewater! Use it for yourself, or give it as a gift! Great Christmas present idea, and inexpensive to make! 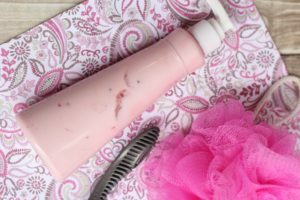 This Homemade Ladies Rosewater Shaving Cream post is part of our 2016 Hand Made Christmas Gifts Gifts Series! If you love DIY homemade gifts, be sure to check out our previous 12 Days of Homemade Christmas Gifts 2015 series and our 12 Days of Handmade Christmas Gifts 2014 series, where we featured great inexpensive DIY Homemade Gifts! Love bath and beauty products? Check out these other great DIY’s! Wow, this is a great and cheap way to make your own! Thanks for sharing The Home Matters Party..